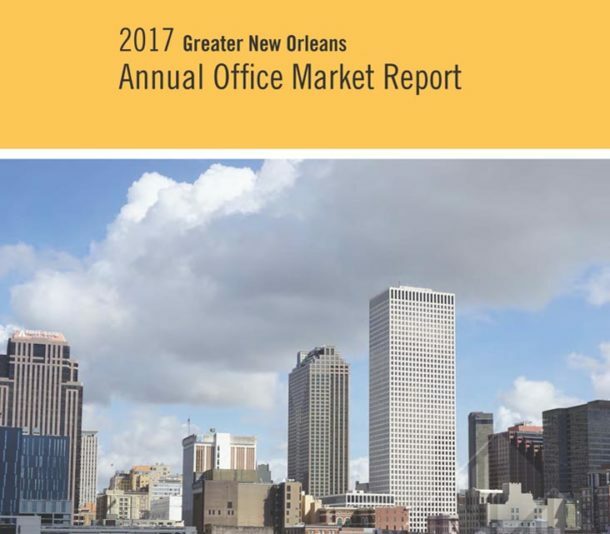 Corporate Realty is proud to present our Sixth Annual Greater New Orleans Office Market Report which gives readers a broad understanding of the Greater New Orleans market as well as specific information about occupancy and rental rates of each office building. With data from 2012 – 2017, this report offers a snapshot of the current market and analyzes market trends. This year the graphs include data from 2013, 2016 and 2017 to provide historical context. In addition to listing basic occupancy and rate information for every non-medical office building greater than 20,000 square feet in the Greater New Orleans region, Corporate Realty’s office specialists provide context for this data with market summaries. You can download our report here: http://corp-realty.com/reports/. Corporate Realty also publishes quarterly reports of the office market compiled by one of our office specialists, Bruce Sossaman. These reports present an immediate snapshot of the market and can be found on our website at: http://corp-realty.com/reports/.